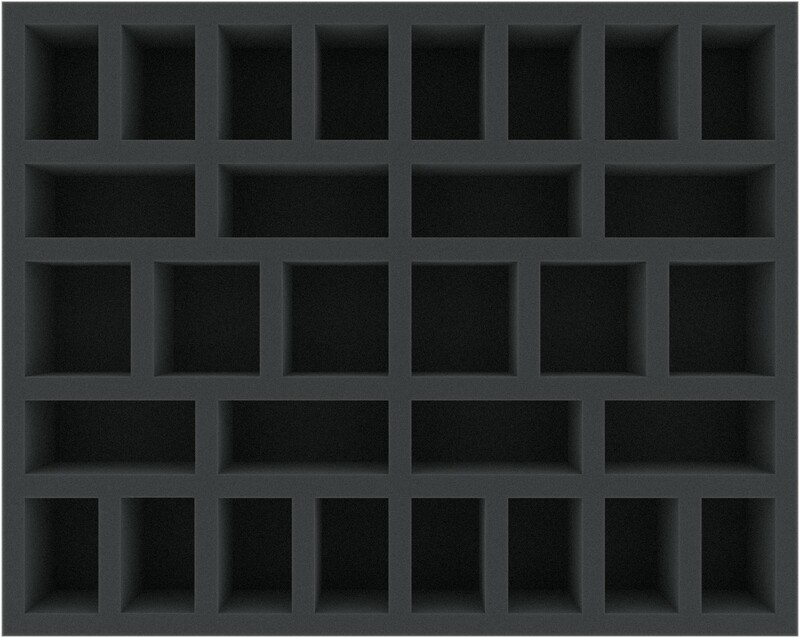 This Full-Size foam tray is optimally suited for many game systems. The foam tray is divided into 30 compartments. 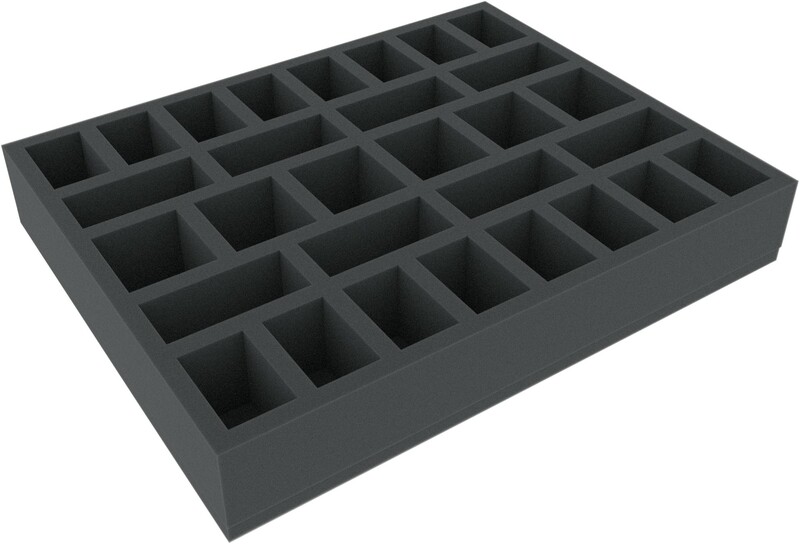 The foam tray has the dimensions: 345 mm x 275 mm x 55 mm total height (45 mm usable height + 10 mm foam base).